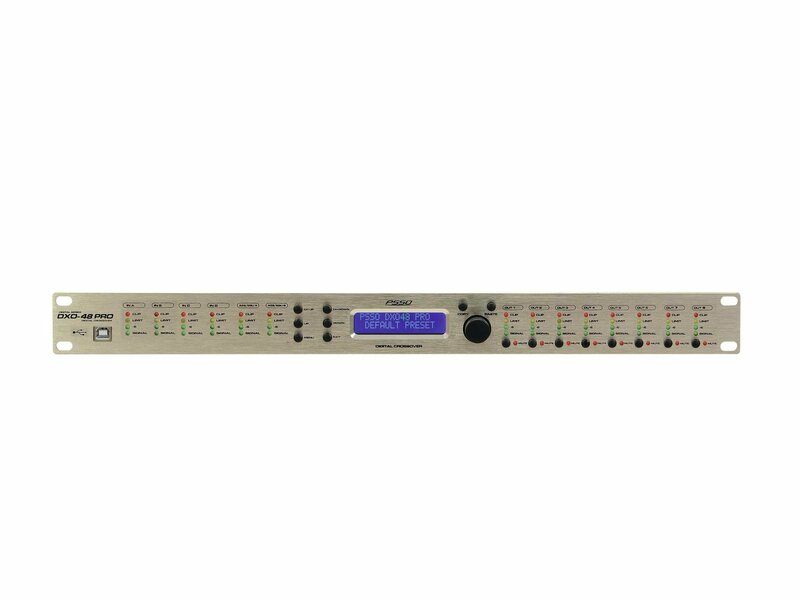 The DXO-48 PRO is your digital network speaker management system with a powerful 64-bit processor. The device has 4 analog inputs and one digital AES/EBU interface (XLR) as well as 8 analog outputs (XLR). 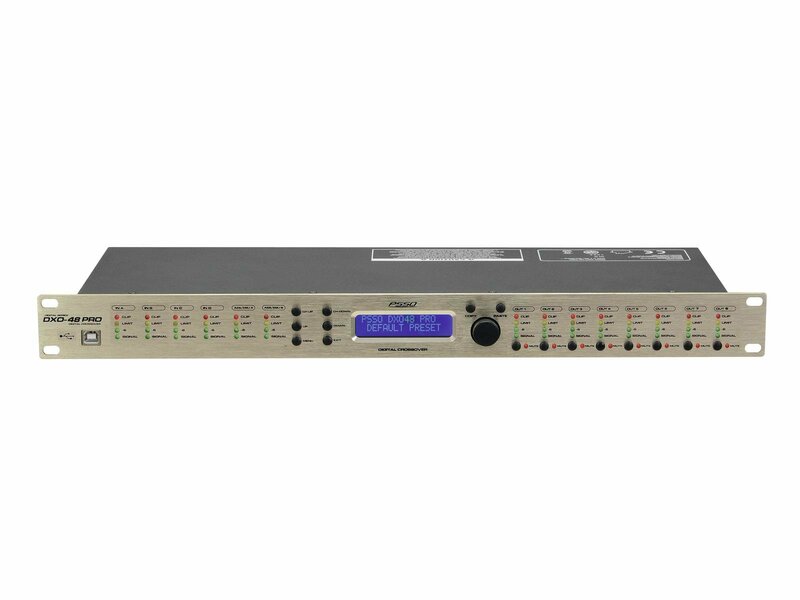 Each input and output is equipped with a 10-band parametric equalizer. The following filter types are available for each equalizer: Bell, High Shelf, Low Shelf, Notch and Allpass. All inputs and outputs offer 4-digit VU meters for better orientation. The intelligent software for PC and Mac lets you control the device from the comfort of your computer. It works with Windows XP, Vista, 7, 8 and Mac OS X 10.5.8 and higher. Up to 80 user presets can be easily stored, transferred and managed via the software. The integrated Ethernet interface enables integration into a network and real-time communication. Of course, control is also possible directly on the device with access to all functions. Or control your speaker systems as easily as never before with the DXO Control App: DXO Control for iPad contains all functions of the PC software and is available free of charge in the App Store. PSSO's loudspeaker management systems stand for outstanding quality. First-class components guarantee excellent sound characteristics and a long enjoyment of the device.